H.H. 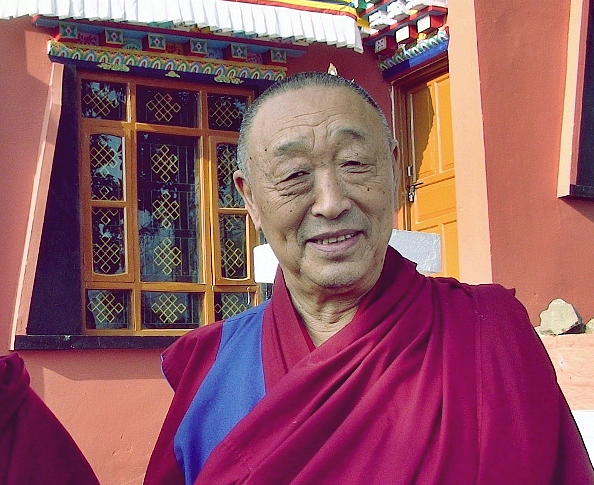 Menri Trizin 33rd, the spiritual leader of the Tibetan Bon religion was truly a remarkable man, who dedicated his life to the advancement and preservation of Tibet’s ancient Bon tradition. His integrity and kindness shone brightly in all he did, and what achievements he realized during an incredible life. Apart from establishing what was to become the magnificent Menri Monastery near Solan, India; which helped to secure and promote the traditions and teaching of Bon, his dedication, determination and compassion brought assistance to many people. Not least for the Bonpo community and the orphaned Tibetan children, for who he provided an education and a home at the monastery. Inspiring, generous, wise and with a gentle humor he represented the Bon religion with a profound dignity, intelligence and a genuine humility. May his journey be blessed.